Martin Colthorpe, the Programme Director of ILF Dublin, previews this year's event, which kicks off on May 19th. As ILF Dublin marks its 21st anniversary, it’s irresistible to look back to our first festival and assess how the literary landscape has evolved. In 1998, the great and good of Irish literature, including John Banville, Seamus Heaney and Edna O’Brien, launched the festival with a bang, with a strong focus on lyric poetry and the novel. Fast-forward 21 years, and the festival has become more international and political, and alongside wider geographical horizons has come a refreshing hybridity of form. Contemporary literature is good at blurring boundaries and that’s exciting. Readers and prize-giving committees are catching on. A great recent example would be Max Porter’s Grief Is The Thing With Feathers - shards of poetry and drama in the form of a novel, with a grieving father reflecting on the death of his young wife. It won a clutch of awards and evolved into a stage adaptation produced by theatrical shape shifters Complicite, at O’Reilly Theatre in April. 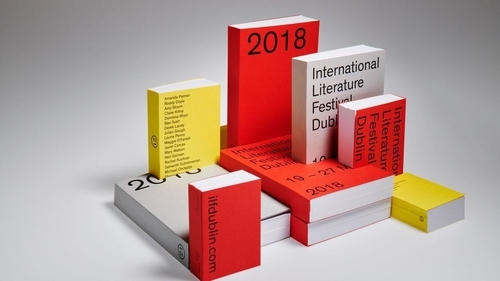 This year at ILFDublin several key writers from different corners of the globe push the boundaries of form in exciting ways. Joanna Walsh’s novel-as-essays Break.up presents the aftermath of a relationship. Walsh is a critic, illustrator, fiction and non-fiction writer and Break.up is ambitious and incisive, navigating between fiction and non-fiction through essays on music, boredom, shame and art. New Zealand Poet Laureate, Selina Tusitala Marsh, embodies the hybrid identities of her country. Of Samoan, Tuvaluan, English, Scottish and French descent, Marsh’s poetry is itself a creole of influences, languages and styles mixing rap, song and lyric verse. 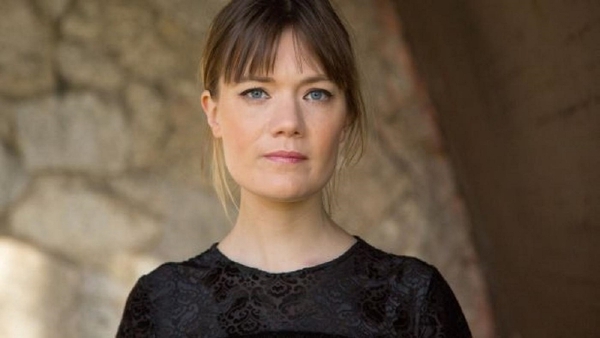 She read alongside Derry’s Colette Bryce and Kayo Chingonyi – recent winner of the Dylan Thomas Prize for Poetry on Monday 21 May. Alicia Kopf is an artist who brings the visual into the space of the novel; Brother In Ice is an intriguing exploration of illness and the confines of geographic space; part travelogue, part memoir and part novel. In its reflection on the role of the artist, it comes closest to autofiction, the genre that best describes the current trend for fictionalized autobiography. She reads alongside Sara Baume, whose second novel A Line Made By Walking takes its title from the land art of Richard Long, and reflects her own practice as an artist and novelist. After garnering awards and acclaim for her novels and short stories, Chinese-American Yiyun Li’s latest book, Dear Friend, From My Life I Write To You In Your Life is a lightning bolt from the blue. Setting out as a memoir of recovery it quickly unspools into a fascinating essay on the solace of reading, and the inspiration sought from favourite writers, from Turgenev, Katherine Mansfield through to Ireland’s own master of fiction, William Trevor. Our headliner in 2018, Neil Gaiman is a master of adapting stories through time, celebrating their power, in his own words, ‘to teach us how the world is put together and the rules of living in the world’. This is my pick of authors who are making it new in 2018, revitalising the art of storytelling and revitalising the literary festival at the same time.